commonly known as Bill, is a vampire living in the small town of Bon Temps, Louisiana. Since the Great Revelation, Bill has decided to “mainstream” and co-exist peacefully with humans. He is known as Vampire Bill by some Bon Temps residents like Hoyt Fortenberry. Bill is one of few vampires to originate from America, as well as one of the youngest. He lived in the town of Bon Temps with his wife and two children when the Civil War began.In 1862, he went off to serve as First Lieutenant in the 28th Louisiana Infantry.When designing for Bill Compton , I decided to design a look that combined styles that were popular during the 19 and early 20th century. Bill is a vamparic traditionalist , but I wanted to create a look that was modern, but still traditional. 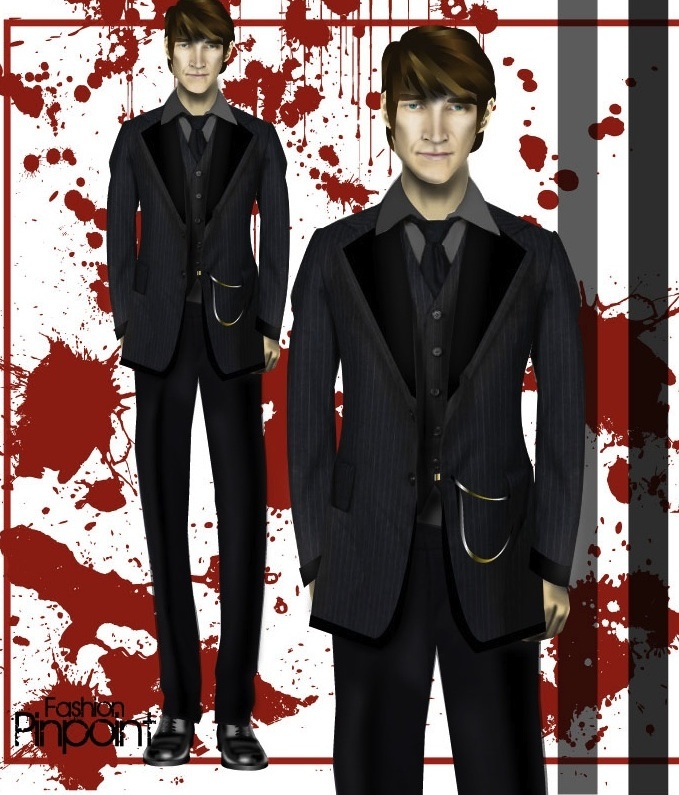 supple,romantic velvets were combined with masculine pinstripe wools creating a look that is modern and very stylish.Bill Compton has proven to be a complicated character in season 5, but will always be viewed as the vampire that “called on” Sookie during their first date, a romantic moment that has continued to make women swoon.